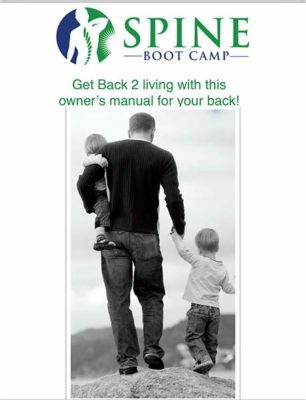 If you are suffering from back pain, Dr. Gord McMorland’s new self-help e-book may be the answer you have been looking for! 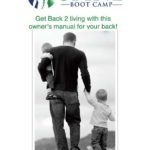 So how is this Spine Boot Camp eBook different? Knowledge is power. Dr. Gord McMorland believes that with better knowledge, you can make better choices. With better choices come better results. Spine Boot Camp (SBC) is not just another core stability exercise book. We know it isn’t enough to just do some core stability exercises and hope to get better. History lessons and research has told us that traditional treatment for back pain is generally considered a modern-day medical disaster. It continues to be one of the leading causes of disability in the world. Movement tools and Spine Sparing Strategies – Learn how to move in ways that are safe for your back so you can get back to the activities you love without fear of aggravating or re-injuring your spine. Learn the secret sauce for how to combine your exercises based on how our body adapts to stress, strain, pain, and injury. Knowing this secret will give you the best results from your exercises! Get out of pain and regain your health and quality of life? Prevent future episodes of back pain? Improving your recreational or competitive sport and athletic performance? The educational information and exercise programs in this easy-to-read e-Book is where you want to start! register for the next Spine Boot Camp today!